In the fall of 2012, we scrambled to have our first open house for National Alpaca Farm Days. 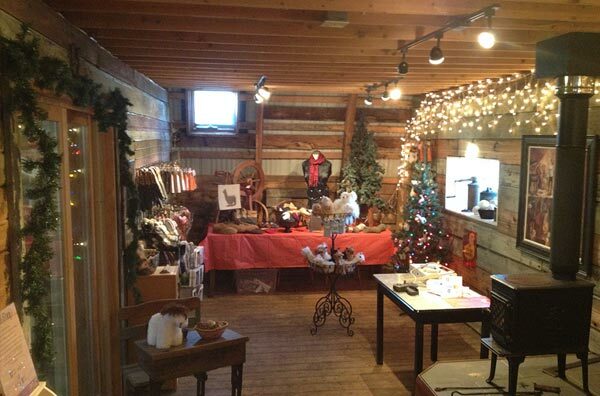 The whole family pitched in and we were able to offer a very modest collection of handcrafted and retail goods. It was not a permanent setup by any means. As word started to get around and people became more interested in visiting our farm, we quickly realized that the constant setting up and tearing down of our makeshift farm store was way more work than what it should be. Especially since we started increasing the size and variation of what we offer. So, we started to and envision what this 1940, curved roof barn could become. 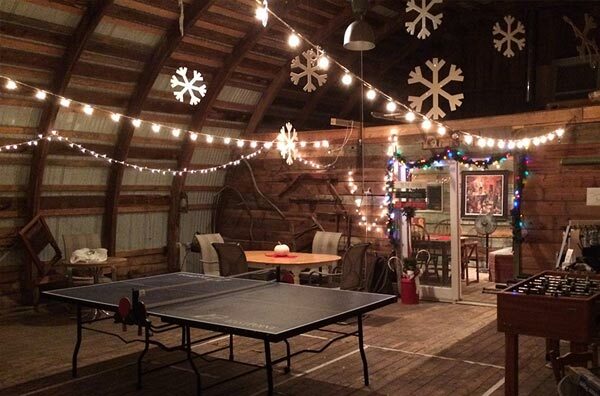 We decided to dedicate top level of our barn to entertaining our guests. 2/3 of it would be for games, eating and observing the herd, and the other 1/3 would be our farm store. For better or for worse, I have enough of my father in me to instantly jump to the conclusion of “I can do that” whenever a construction project presents itself. We spent a lot of time on Craigstlist. We purchased fixtures from business going out of business and went to yard sales, because we were trying to control our costs. We kept our eyes open for just the pieces we were looking for to complete the vision. 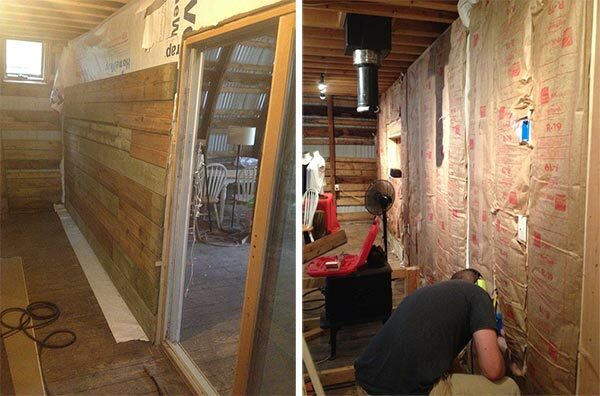 In some cases, we took siding from other buildings and even repurposed old doors that were stored in the barn when we moved in. It’s been a ton of work, but things are starting to come together! 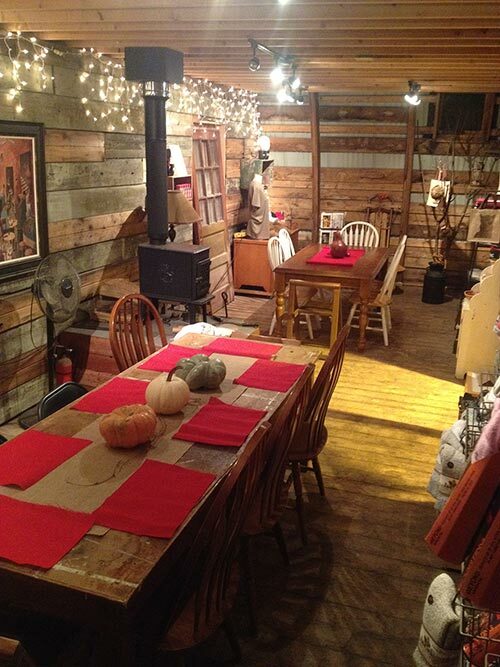 We even set up the gift shop to host Thanksgiving with friends this year. Next step is to build an entrance into the second level of the barn directly into the gift shop. 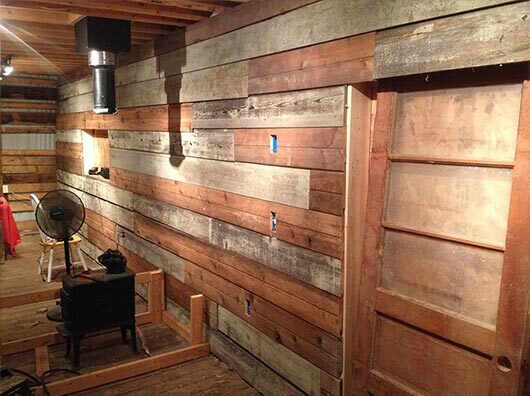 It will likely never be completely done, but it is certainly satisfying to give the ol’ barn new life.